Selection of the right product is only half the work in a job well done. 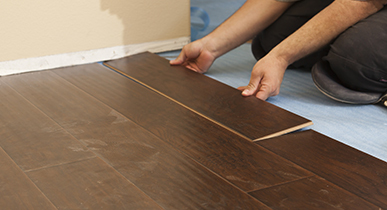 We truly believe the installation is just as important as the floor itself. 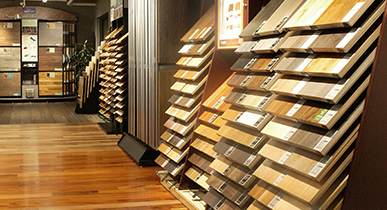 At Unique Wood Floors, we want to make sure our clients have access to the best support throughout the entire process from choosing the floors to unveiling the finished product. To our clients in the Twin Cities metro, we offer complimentary in-home estimates, in-home delivery, and professional installation. After visiting our showroom to select a product you are interested in installing, we have trained professionals ready to measure and calculate everything you will need to get your project underway. 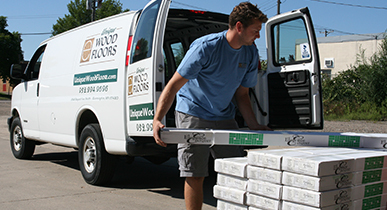 Unique Wood Floors has professionally trained and specialized wood flooring installers with over 10 years of installation experience in the hardwood industry on every job. We offer in home delivery to the main level of your home anywhere within the Twin Cities metro area.